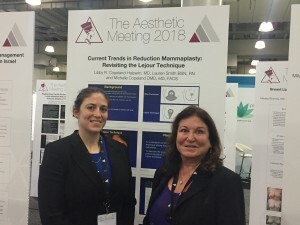 Dr. Michelle Copeland and Dr. Libby Copeland-Halperin presented findings on current trends in breast reduction techniques among board-certified plastic surgeons nationwide. 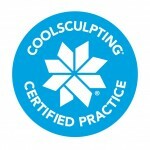 Based on survey results and breast reduction surgery on 145 patients, the study reported on scarring and other complications comparing the Lejour technique and other techniques that are associated with more scarring. Breast reduction using the Lejour technique. Libby Copeland-Halperin M.D. and Michelle Copeland M.D. at the April, 2018 ASAPS Conference in New York.